Attorney Legal Services Agreements: Are They Fair to You As a Client? At the very beginning of an attorney-client relationship, there should be a written ("LSA"). The LSA describes the relationship between the parties, the scope of the work to be provided, as well as the responsibilities and obligations for the payment of the services to be provided by the attorney or law firm. The LSA should be clearly written and easy to understand. At the inception of the attorney-client relationship, the LSA should also be verbally explained, and any questions answered. Before entering into a LSA, here are some things to question about the future relationship with the lawyer. 1. Is the scope of the legal services inclusive of the primary focus of the claim or defense? Make sure the LSA covers all the services you need in order to complete the claim or defense. The last thing you want is a surprise later on that the agreement falls short of being able to complete the entire objective of the reason you are hiring an attorney. 2. How are the fees being paid for the legal services to be provided? There are different ways fees are paid. Below are just a few. Hourly fees. If fees are being paid on an hourly basis, look for the hourly rate for each category of individuals who may be working on your file. For example, what is the hourly rate for the attorneys, the paralegals, law clerks, legal secretaries, etc. Next, what are the minimum charges for each incident of service. Is the minimum charge a tenth of an hour, a quarter hour or some other increment. Finally, is the deposit a non-refundable retainer, or only non-refundable upon performance of the work. Flat Fee. Some agreements are performed on a flat fee basis, or flat payment for specific work. 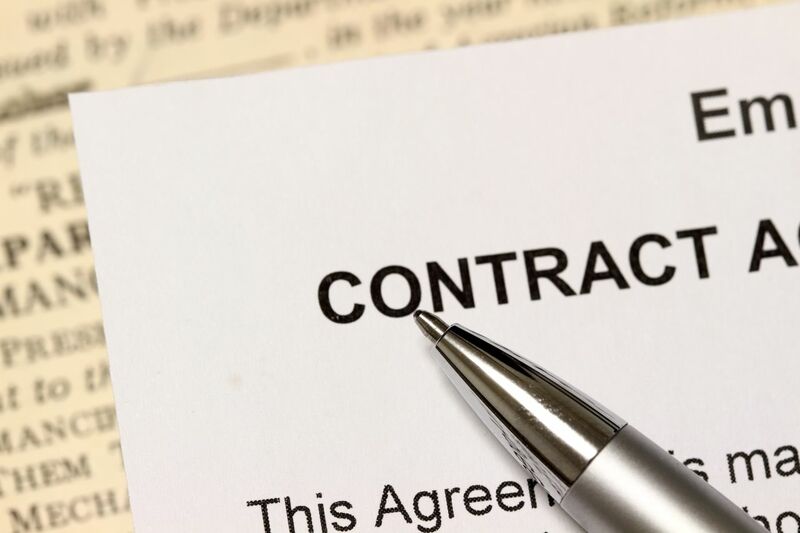 These agreements are rare but can be beneficial to fix budget expenses. These flat fees may also be applied to certain work, such as a motion, or a court appearance, etc. Contingency LSAs can vary greatly in percentages of the attorney fees to be paid from the recovery. Some of these agreements can be as high as 50% of the recovery. Additionally, these contingency LSAs may have escalating percentages triggered by different time periods or events. Watch for those triggering events. Can the triggering events be manipulated to the lawyer’s benefit? I recently reviewed another firm’s LSA which indicated that the initial contingency fee was 40% of the total recovery. However, that fee was short lived, because upon filing suit, the fee jumps to 45%. Then, when the lawsuit is set for a trial date, the fee goes up again to 50%. These are steep fees and can be manipulated by filing suit or allowing the case linger long enough to get a trial date. Finally, some LSAs indicate that the lawyer will get additional compensation in the form of a percentage of all medical expenses negotiated below the amount claimed or incurred. These additional percentages are extra and unnecessary money for the attorney. 33 1/3 of the gross recovery from signing until 30 days prior to trial. 40% within 30 days prior to trial and through trial. In a settlement for $100,000.00 more than 30 days prior to trial, the legal fees would be set at $33,333.33. If within 30 days of trial, the fee would be $40,000. This leaves a client a recovery range of $66,666.67 to $60,000.00 prior to the payment of medical expenses or insurance reimbursement. Any negotiated reduction in the medical expenses is made for the sole benefit of the client, there are no additional fees. In other words, if the medical liens are reduced by $10,000.00, the client receives the full benefit of the $10,000.00 increase in their pocket. 40% of the gross recovery from signing to prior to filing suit. 45% of the gross recovery from filing suit to case set for trial. 50% of the gross recovery following the case being set for trial. In a settlement for $100,000, prior to filing suit results in legal fees of $40,000.00, $45,000 following filing suit and prior to trial being set, then $50,000.00 for any amount after that point. Additional fees are deducted, up to 1/3 of any reduction in the medical liens or medical payments. So the starting point for client distribution is $60,000.00 reduced down to $50,000.00, prior to the payment of medical liens and expenses. Plus if the medical expenses are negotiated down by another $10,000.00, the attorney would receive an additional $3,333.00. The client would only receive $6,667.00 in benefit from the lien reduction. 3. Look to see if you remain in control of the decision making process, or if you forego your rights as to when, or how the case settles. There are other technical issues which you should be concerned with, such as signing settlement checks, handling of disputes, etc., so ultimately, there is really no way to address all the issues which may arise from LSAs. But if you focus on the key issues which will most likely affect your financial bottom line, you can accept or reject these agreements or seek other attorneys who will provide you with more favorable financial terms. However, don’t let the money be the only determining factor. You are not purchasing identical products or services and just shopping the price. Cheapest is not always best, neither is the most expensive always going to provide you with the premium representation package. Determine how you feel about the attorney, his or her staff, and the law firm generally. If the attorney’s service is exceptional, the amount you pay will actually be appropriate. However, if the service if substandard, then you will begrudgingly pay the fee, no matter how much it is. However, once the job is completed, or even partially completed, you will owe the attorney his or her fee regardless of your concerns about the quality of the services rendered, unless malpractice was committed. Whichever way you pay for your legal services, hourly, flat fee or contingency, make sure you feel you are paying for high quality legal services. If you believe your lawyer’s performance is substandard, then look for another attorney who can do the job better and for a fair and reasonable fee. If you have questions about your legal services agreement, have it reviewed by an independent attorney who can answer your unanswered questions. The Inland Empire Law Group will often review LSAs to make sure the injured individuals are receiving the very best the legal profession has to to offer. Call us for an independent LSA review. (909) 481-0100.